Are you tired of your cable modem or router freezing up on you? When you call the Cable/DSL company for help what is the first thing they have you do? If you answered reboot the modem or router you're spot on. The fact is when you've got equipment that doesn't seem to be responding, simply rebooting the hardware can often resolve the issue. This is where the Remote Power Switch comes into play by taking you out of the equation anytime you have equipment acting up. The video above demonstrates how easy the Remote Power Switch is to connect to your existing equipment. The Remote Power Switch comes pre-configured out of the box for plug and play use, just plug in Ethernet to the Remote Switch and plug into a power source. 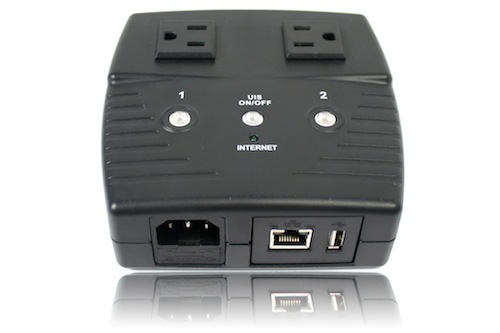 The unit also has manual configuration options allowing you to easily control WAN activity out to the Internet (routers, DSL/Cable modems, IP Cameras), as well as LAN connectivity making the Remote Power Switch ideal for Kiosk, M2M, Digital Signage prone to an occasional lock up. If your not happy with the default reset cycle you can also manually adjust the delay timing from a few seconds to several minutes. You also can control scheduled reboot sequences for industrial applications where equipment needs to be turned on or off at specific times. Scheduling power cycles can save your company money by preventing unnecessary service calls by technicians to reboot or manage equipment out in the field. In fact, you can use a free MSN account to quickly check device status, control the outlets and find the IP address of connected equipment. The Remote Power Switch is the ultimate tool to help save your company money and manage remote equipment!